I, for one, am glad the Dodgers “missed out” on Aroldis Chapman. When it looked like they had acquired him from Cincinnati, I was ecstatic. Then came the alleged domestic violence and gun play. That basically put the kibosh on any potential deal. But, the Dodgers could ultimately still benefit from Chapman now that he has been traded to the Yankees. Much virtual ink has been spilled writing about how great this was for the Yankees and how they have three of the four best strikeout relievers in baseball in Dellin Betances, Chapman and Andrew Miller. But Miller might not be long for the Yankee bullpen. Even before the Yankees jumped in on Chapman, they were looking to deal Miller — for whatever reason (money being the main factor). He was almost traded to the Astros before they pulled the trigger on the Ken Giles deal. While I’d be OK with the Dodger bullpen as currently constructed, an upgrade as good as Miller’s would be tough to pass up. But Dustin, why didn’t they just sign Miller last offseason? Good question, Dodgers Digest reader. Allow me to direct you to this February article from the New York Times. “The Yankees landed Miller, the premier free-agent reliever on the market this off-season, with a four-year, $36 million offer, although Houston is thought to have offered him $40 million and others made competitive bids. Obviously, I’d hope the front office would make sure Miller is OK with playing on the West Coast before executing any deal. With $27 million left on his deal over the next three seasons, Miller looks like a bargain in this market. That means he’d cost more than most would think in a trade. The Yankees would be interested in Jose De Leon as a centerpiece, and I’m not sure where I come down on that. On one hand, you get three years of (probably) and elite reliever and a safety net if Kenley Jansen doesn’t return after the 2016 season. On the other hand, he’s your best (and closest to the majors) pitching prospect not named Julio Urias, and with the rotation still a question mark, having De Leon to possibly bring up late in the season could provide a boost. The Yankees are looking to contend, so they aren’t going to take three or four 19-year-olds just to get Miller’s contract off the books. The Giles deal could be a barometer of what it might take to get Miller. The situations are different, as Giles has five years of cheap(ish) control left. That netted the Phillies former No. 1 overall pick Mark Appel, hard-throwing Vincent Velasquez and three other not-bad prospects. Instead, perhaps Alex Wood is the key. He’s going into his age-25 season and has shown an ability to be a quality MLB pitcher. If you package Wood with guys like Pedro Baez and Jharel Cotton or Grant Holmes, maybe that’s enough to get it done. I might be overvaluing Wood, but I’d balk at giving up Cody Bellinger or Alex Verdugo, along with Wood and either Baez or Cotton to get Miller. Maybe I’m a prospect hugger, but I don’t see the point in paying that much for Miller. It’s weird to be OK with moving a 25-year-old lefty starter with back-to-back 2.6-win seasons instead of a prospect like De Leon, but Wood’s mechanics are hardly repeatable and he declined a bit down the stretch. That isn’t to say he’s destined for the bullpen or he won’t be a good starter, but I think it’d be a worthwhile gamble to give up three years of Wood (and others) for three years of Miller. If Wood is included in a Miller deal, I’d almost guarantee a trade for another starter wouldn’t be far behind. 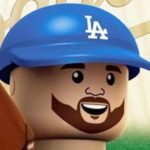 Miller would be the primary setup guy to Jansen (since we still have to have defined roles for relievers), pushing Chris Hatcher to the seventh inning. That’d be a pretty good back-end of the bullpen. Like I said, I’d be perfectly fine with the Dodgers going into the season with the bullpen as it stands. Adding a Miller (or Jake McGee) would only make it better, which isn’t a bad thing. There’s still a lot of offseason left.